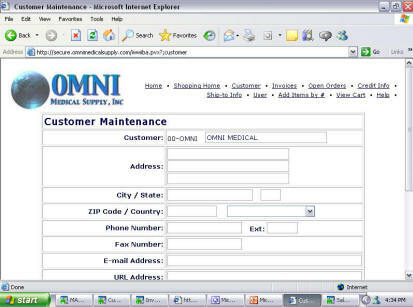 nTo view and edit customer information such as address, phone #, fax #, or email please select “Customer” from the top menu. nModify the information as needed and submit. nYou will be directed to a confirmation page. We will review your submission and confirm via email.